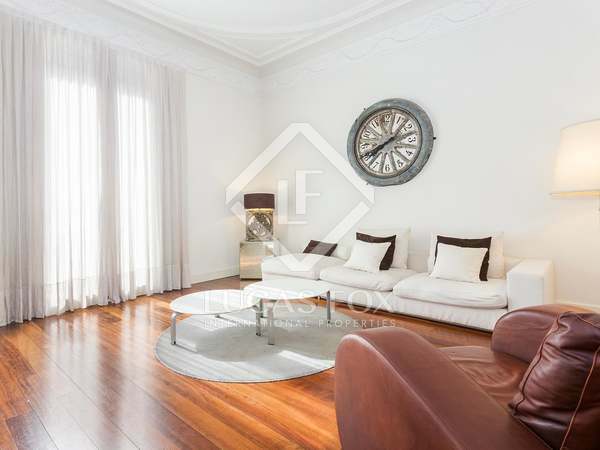 Luxury apartment for sale in the heart of Eixample with beautiful designer interiors and great natural light. 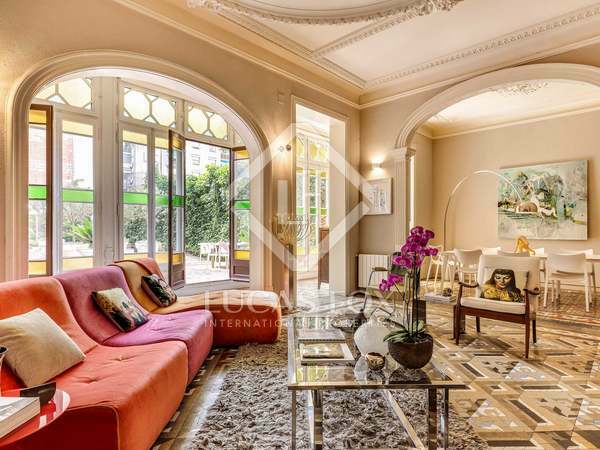 Sensational triplex penthouse in a development of exclusive apartments in a landmark building on Gran Via street, with views over the prestigious Passeig de Gracia. Outstanding apartment with stunning modernist features, for sale in a prime city centre location in Barcelona. 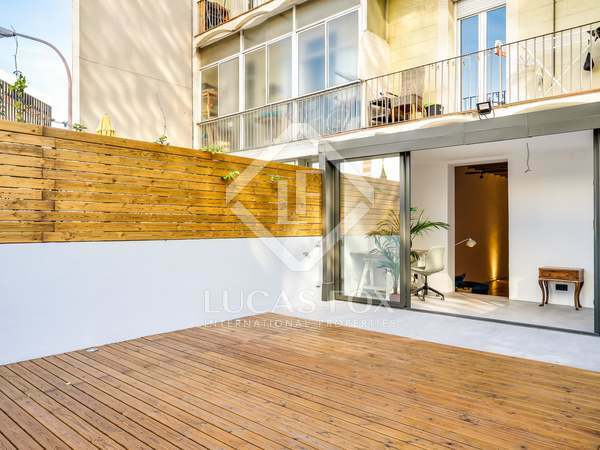 Newly renovated property in an amazing Barcelona City location on Calle Diputación close to Enrique Granados. Spacious property on the principal floor of a modernist building from 1902 in Example Left, with a huge terrace and many stunning period features. 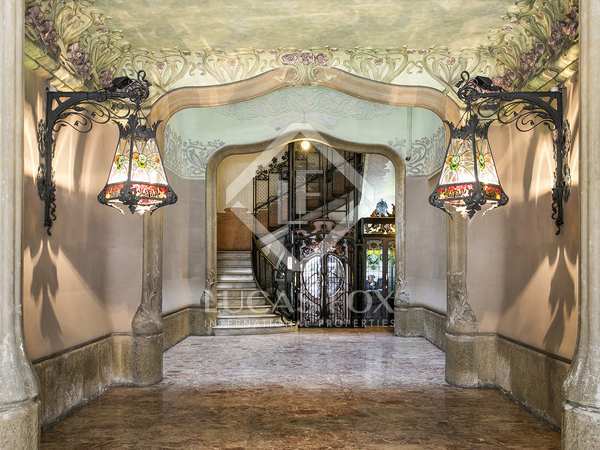 4-bedroom penthouse with a fantastic terrace, for sale in a building dating back to 1895 on Carrer d'Enric Granados, Barcelona. 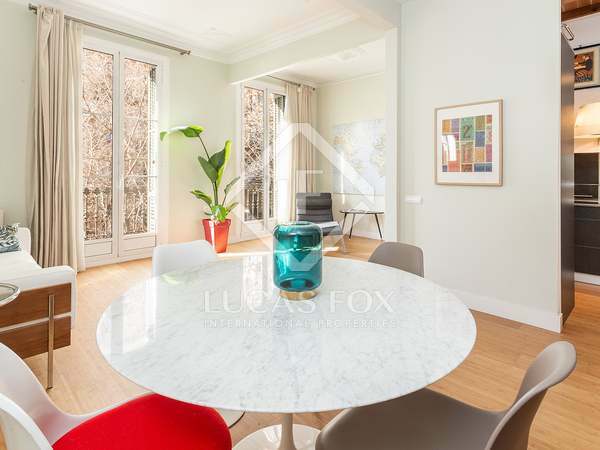 Beautifully renovated 3-bedroom apartment on a high floor of a Modernist building in Eixample Left. Brand new 3-bedroom, 2-bathroom apartment with a terrace and parking included in the price for sale on the first floor of a fantastic new development on Carrer Provença with a communal rooftop pool. 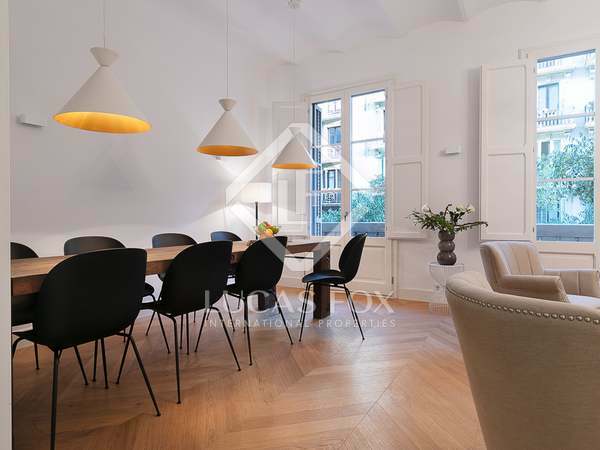 Tastefully renovated apartment with 3 double bedrooms and 4 bathrooms, in a beautiful modernista building in one of the best neighbourhoods of Barcelona, Eixample Left, near Turó Park. 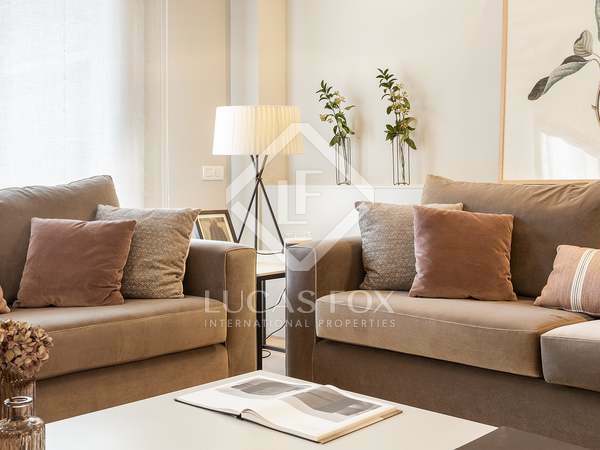 Excellent apartment ready to move in with luxury finishes and materials for sale next to Plaça Francesc Macià. 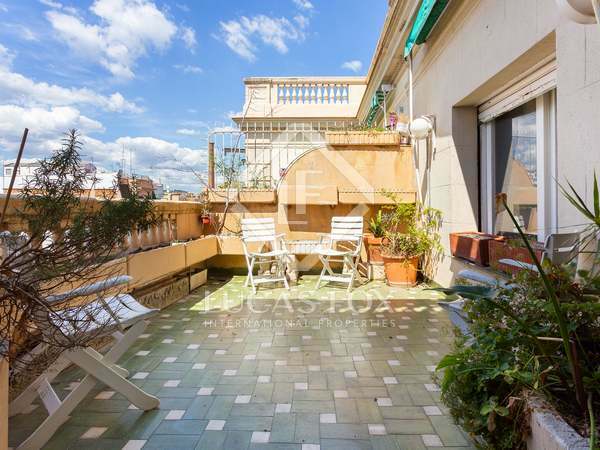 Dual aspect penthouse of 200 m² to renovate with a 15 m² terrace in a renovated classic style 1950’s building. Possibility to divide the property. Part of the Enric Granados New Development, due for completion in May 2019. Newly renovated apartment for sale in a stately building with natural light and balconies. 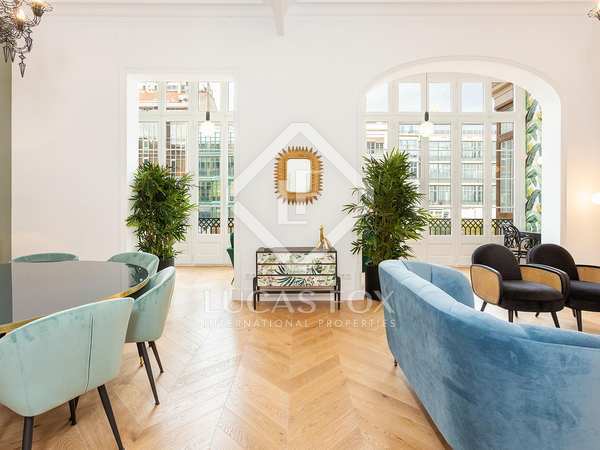 Very bright, beautifully renovated home for sale in a stately building on Carrer Aribau and on the corner of Carrer Paris. 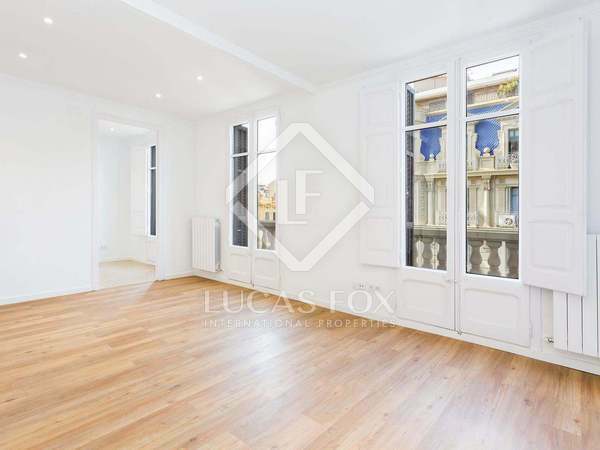 Beautifully renovated turnkey apartment for sale close to Plaza Francesc Macià, Eixample Left. 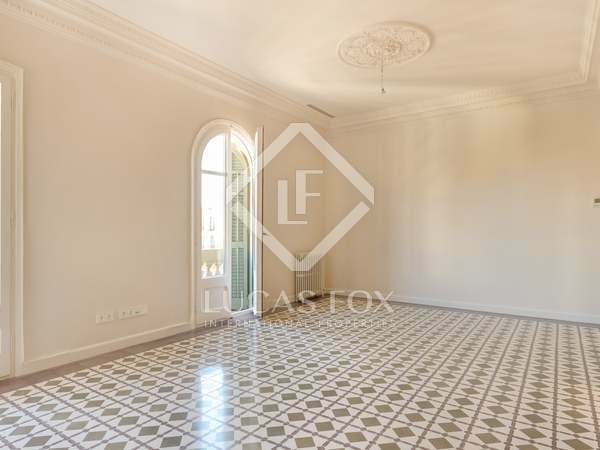 Magnificent renovated and furnished apartment with original architectural features and a balcony, for sale in Eixample Left. 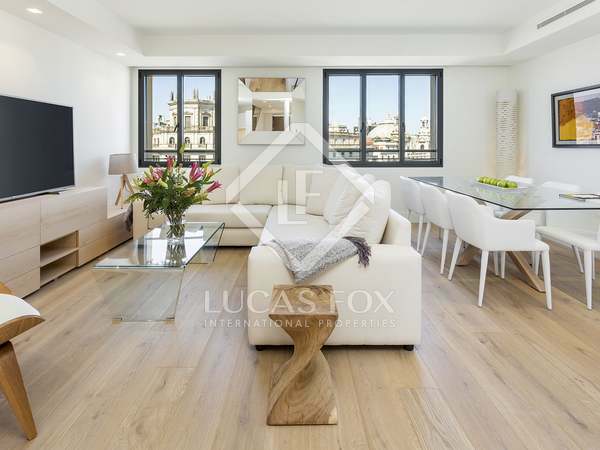 Marvellous new build penthouse with 3 bedrooms, 4 bathrooms and fabulous terrace space, located on Rambla Catalunya. 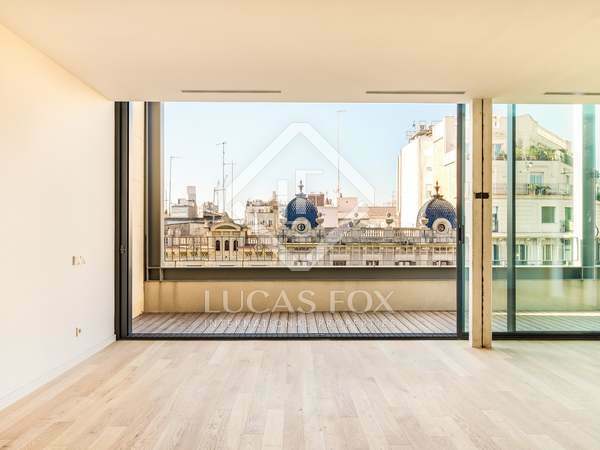 Sensational new penthouse duplex with 3 bedrooms, 3 bathrooms, elegant contemporary interiors and an impressive terrace with breathtaking city views, in a fabulous new development in the Eixample district of the city. 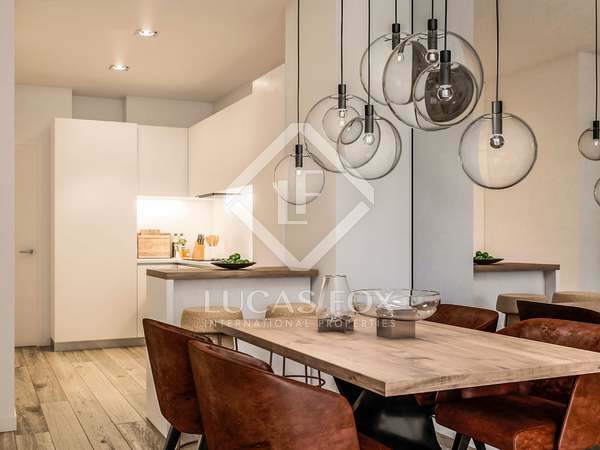 Sensational new penthouse duplex with 4 bedrooms, 4 bathrooms, elegant contemporary interiors and terraces with breathtaking city views, in a fabulous new development in the Eixample district of the city. 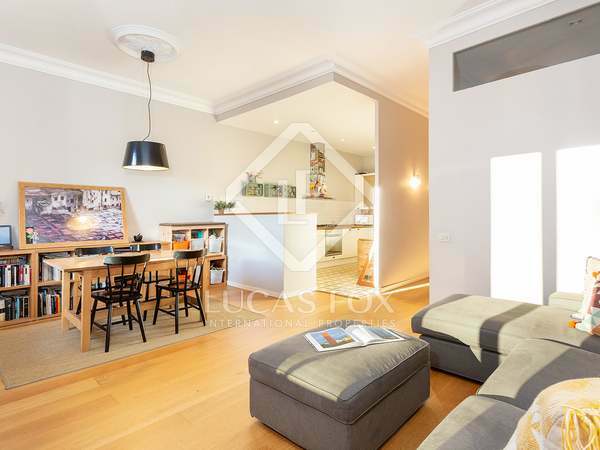 Incredible 3-bedroom penthouse, high quality finishes and appliances, balconies over Carrer Enric Granados and access to a 93 m² terrace. Penthouse forming part of the Enric Granados New Development, due for completion in May 2019. 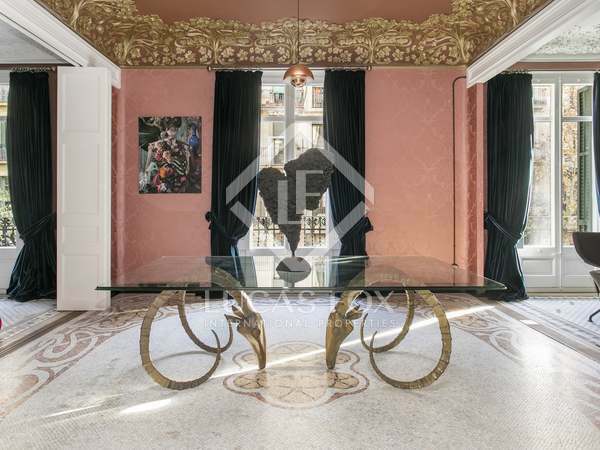 Beautifully decorated and very well maintained 3-bedroom apartment with a terrace and balcony in a renovated stately building at the heart of Barcelona's Eixample Left district. 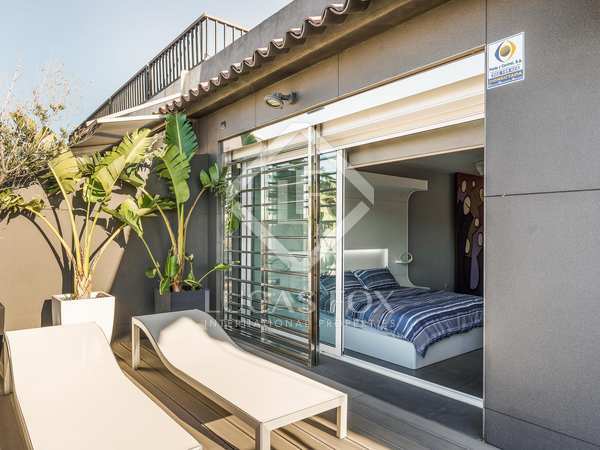 Wonderful new 3-bedroom, 2-bathroom apartment for sale in a fantastic new development on Carrer Provença with a communal rooftop pool. 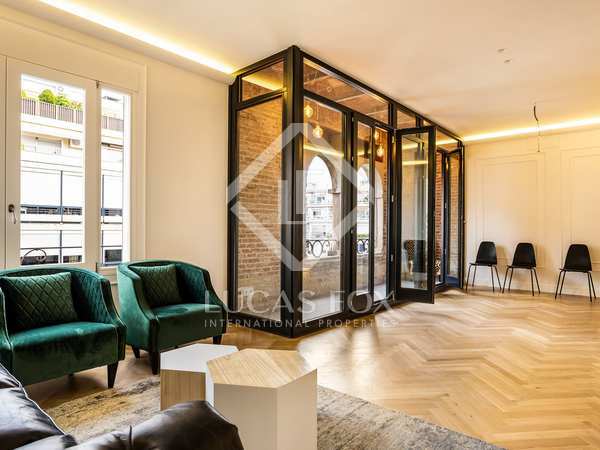 Superbly renovated modern apartment with a flexible layout on the eighth floor of a turn-of-the-century building in Eixample Left.